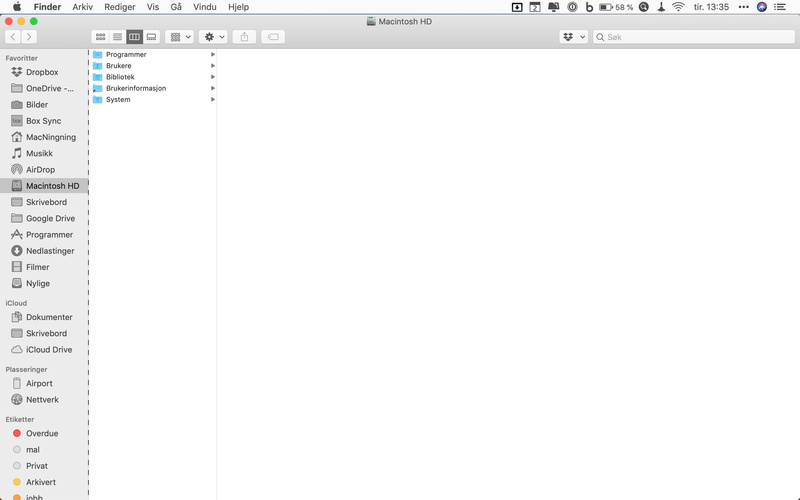 Lately i have seen this Dashed vertical line just to the right of the sidebar in the finder window (see image). I’ve searched the web, but since Im not native in english, is usually don’t get the best search results. I have the same issue. Reduce transparency off did not fix it for me. Wow! Does it remain after relaunching Finder? Yes it does. Feels like I’ve tried most of the traditional solutions for common issues. Maybe I should start thinking about a Nuke and Pave… Been in the back of my mind for a while now, just haven’t gotten around to it yet… Seems a bit drastic for such a little thing, but I think I would benefit from it in other ways as well. I just noticed this on my rMBP 2015, and now I can’t unsee it, so thanks for bringing it to my attention! I was going to drag a screenshot box around it to post, but the artifacts go away as I drag the box. Mine are also sometimes multicolored.